A nice candlestick is a sweet element for a romantic dinner. You don’t have to spend much on a nice new candlestick. You can make a beautiful candlestick with paper. 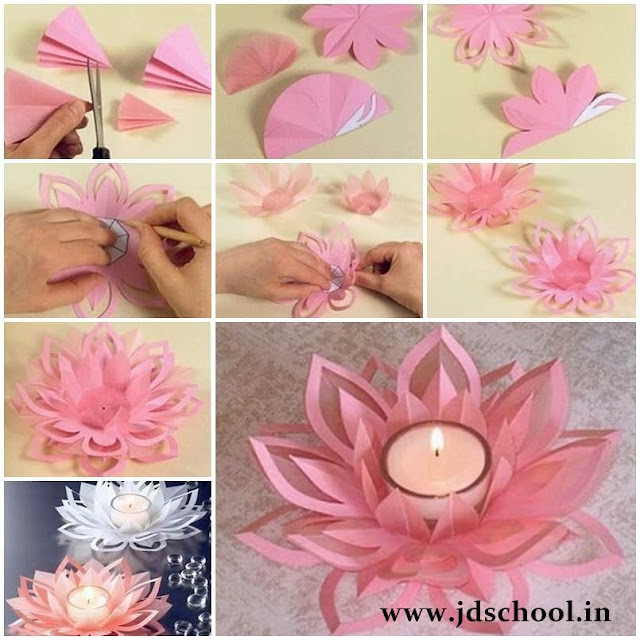 Here is a super cute idea to make a paper lotus candlestick. Isn’t that pretty? It’s easy to make. Just prepare three pieces of paper, cut and fold it according to the tutorialto create a layered effect, and then glue it to make it stand. Place a small candle in the middle of the lotus and here you go! You can use other colors of paper as you wish. Enjoy!